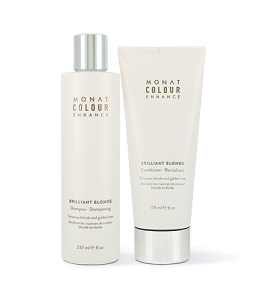 To learn more about Colour Enhance Perfectly Platinum Shampoo and Conditioner, please contact your MONAT Market Partner. Enhances silver and platinum hues. Specially formulated with a complex blend of botanical actives and natural phytopigments derived from Lavender, Centaurea, Mallow and Violet Flowers to boost lustrous platinum and silver highlights and beautifully enhance color. Perfect for daily use. Conditioner: Shampoo with MONAT Perfectly Platinum Shampoo, rinse. 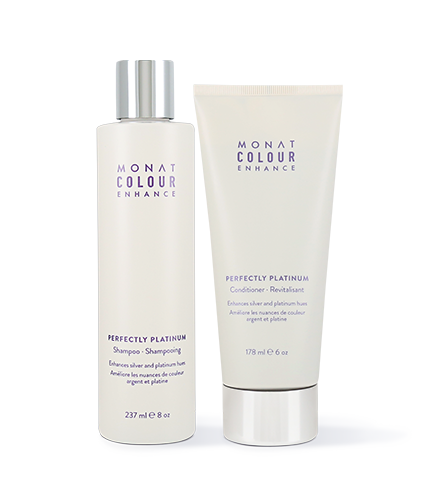 Apply MONAT Perfectly Platinum Conditioner, work it through to the ends of the hair. Let sit 1-2 minutes. Rinse hair thoroughly. 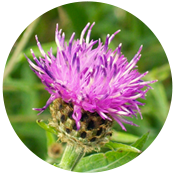 * To optimize the ability of the Perfectly Platinum Shampoo & Conditioner to prevent yellowing and help eliminate brassiness, a violet pigment has been added (Ext. D&C Violet No. 2 (CI 60730)) A red pigment (D&C Red No. 33 (CI 17200) has been added to the Conditioner for color vibrancy.These additives are approved as a safe colorant for usage in cosmetics and considered to be non-harmful when used as intended.